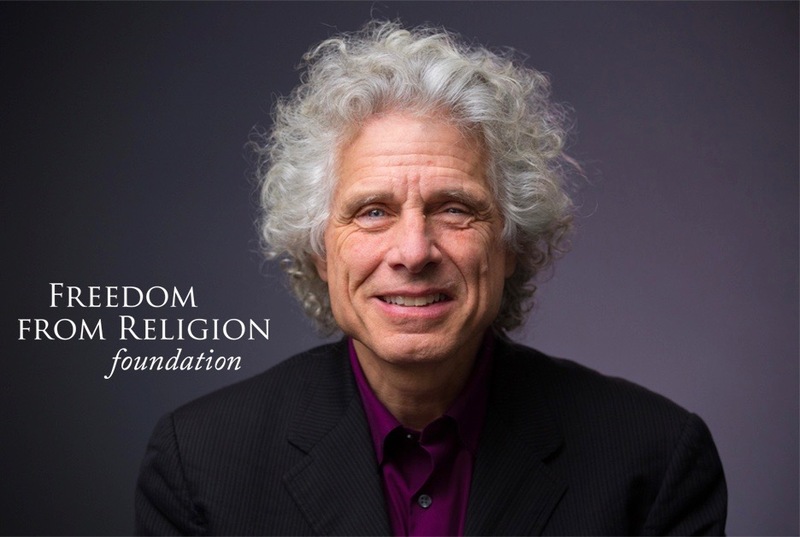 In a new TV ad campaign, Enlightenment Now author Steven Pinker urges viewers to join the Freedom From Religion Foundation in its fight to prevent religion from creeping into the U.S. government. Pinker has served as FFRF’s first honorary president since 2013. The ad will make its television debut on select stations during CBS’ “The Late Show with Steven Colbert” the week of Jan. 21. FFRF will also be running the ads on digital media outlets. Pinker is one of the world’s premier intellects and cognitive psychologists, and serves as the Johnstone Family Professor of Psychology at Harvard University. He’s been named on the Time 100 list of the world’s “Most Influential People.” Among his other best-selling books are The Blank Slate, The Language Instinct and How the Mind Works. Enlightenment Now has just been released in paperback. With more than 31,000 members, FFRF, a 501(c)(3) nonprofit, works as a watchdog to protect the constitutional principle of the separation of state and church. For 40 years, FFRF has served as a leading voice for freethought in America among atheists, agnostics and humanists and other unbelievers. For more information, visit www.FFRF.org.